Easter time means "Easter Candy" and we are huge fans of those yummy sugar coated PEEPS! And even better this year they've released new "flavored" peeps...YES! Lemonade, Blueberry, Party Cake and Bumble gum. The popular flavor around the Doodlebug offices is definitely Party Cake. 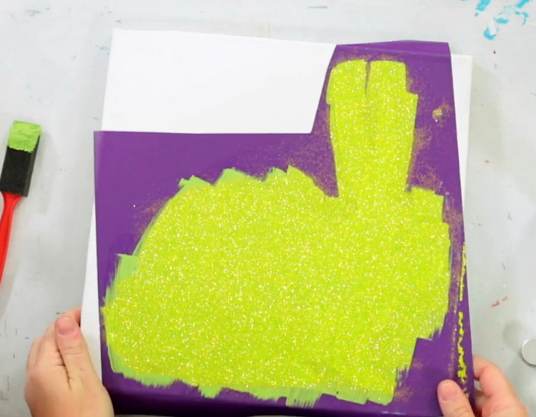 But we also love how Peeps remind us of our yummy Sugar Coating glitter in all the Doodlebug colors. So we have a treat today, we're featuring the Doodlebug Sugar Coating Glitter and My Craft Channel's Inspired by Pinterest. 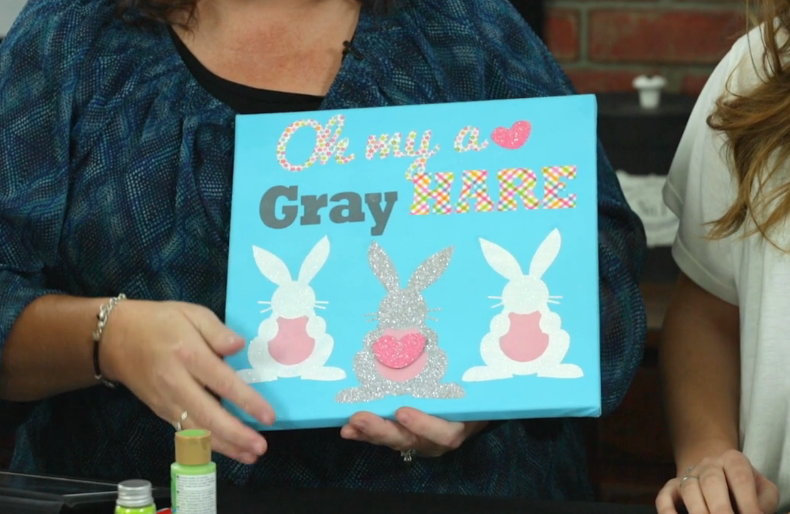 Today you can choose to read OR WATCH a video on how to create a darling Glitter Bunny Canvas from Lori Allred. Here's a some the step-by-step images if you'd like to pin them or like the extra visual. 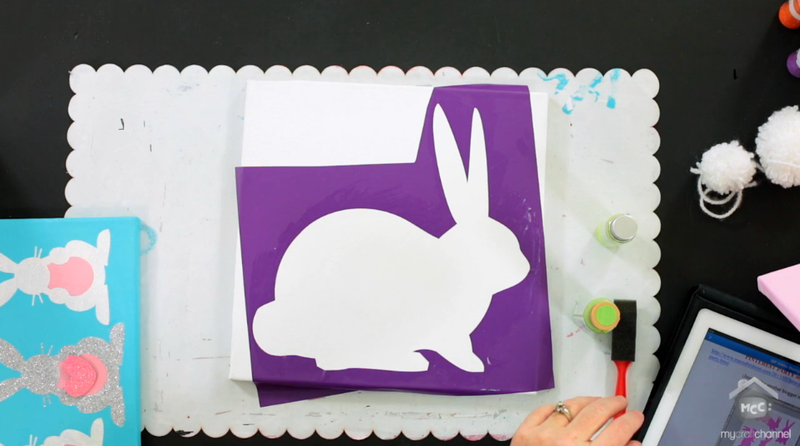 Create silhouette with vinyl or paper. 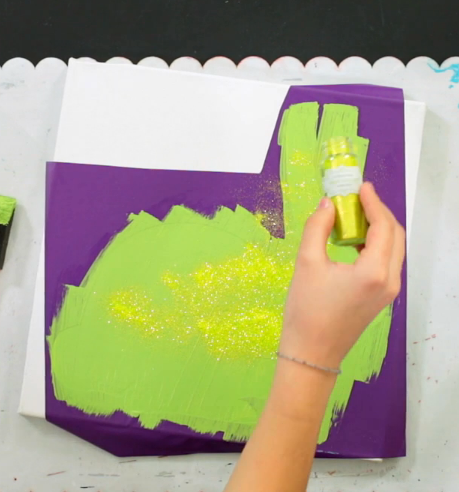 Add glitter while paint is still wet. Coat completely with glitter and pour off excess glitter. acrylic spray or hair spray to keep glitter from flaking off. 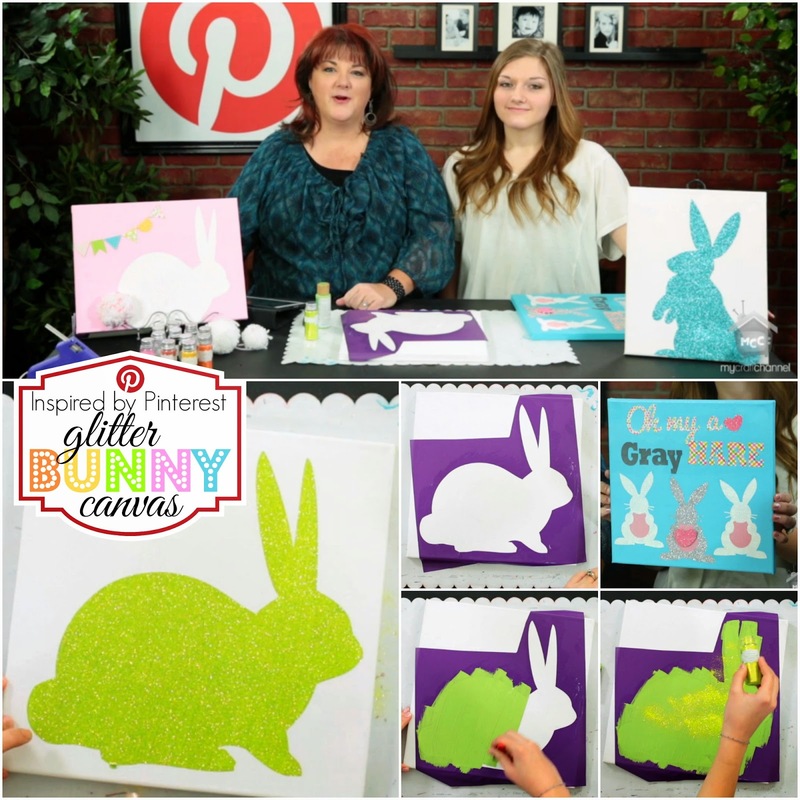 Our bonus project was one Lori created with Doodlebug Sugar Coated glitter and Doodlebug's new Springtime Collection. 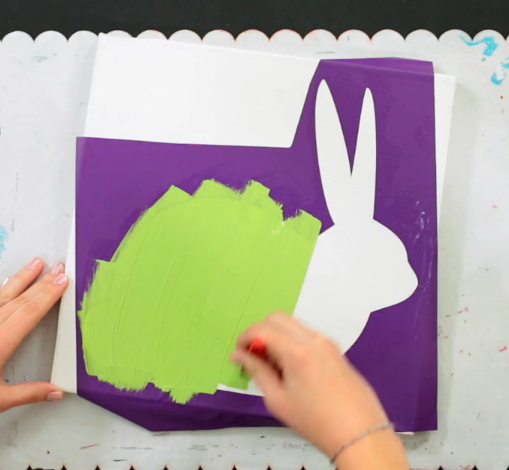 aww what a fun idea.. love those bunnies.. 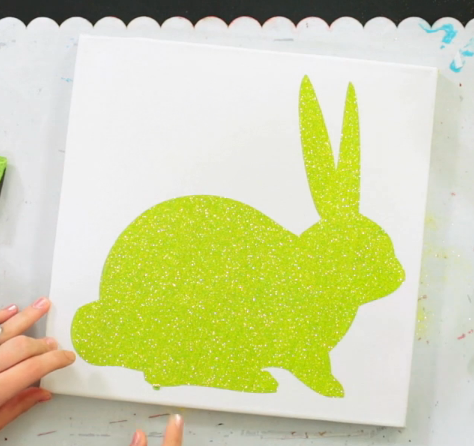 The bunny canvases are adorable!!! 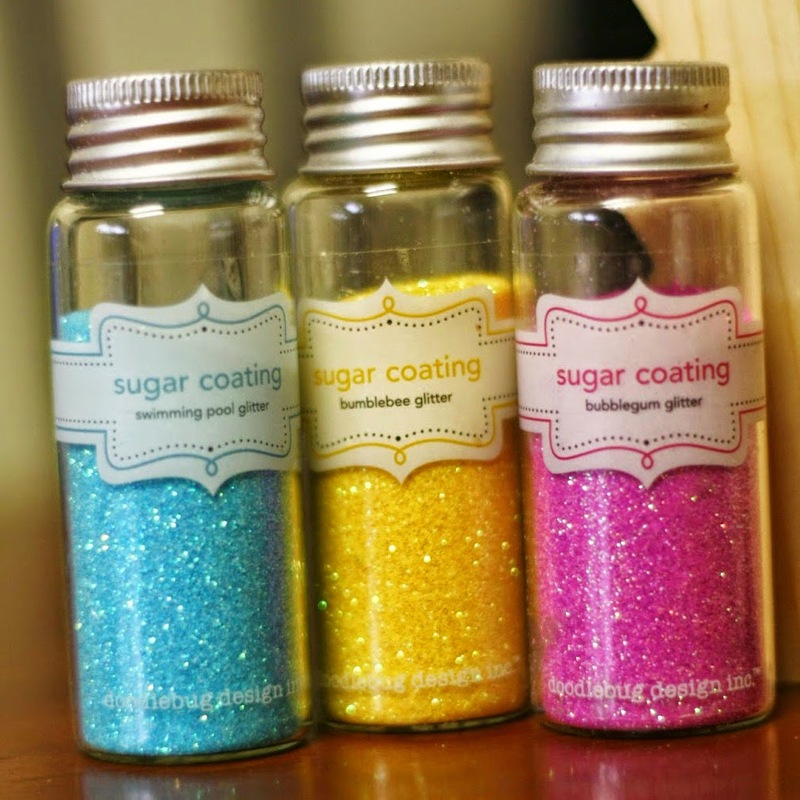 I love glitter, and this idea, is fantastic! Love, love, love! I really want to try one of these and get my little girly to help! She would love it! Thanks!